Can I make a collage or have multiple photos in one image? 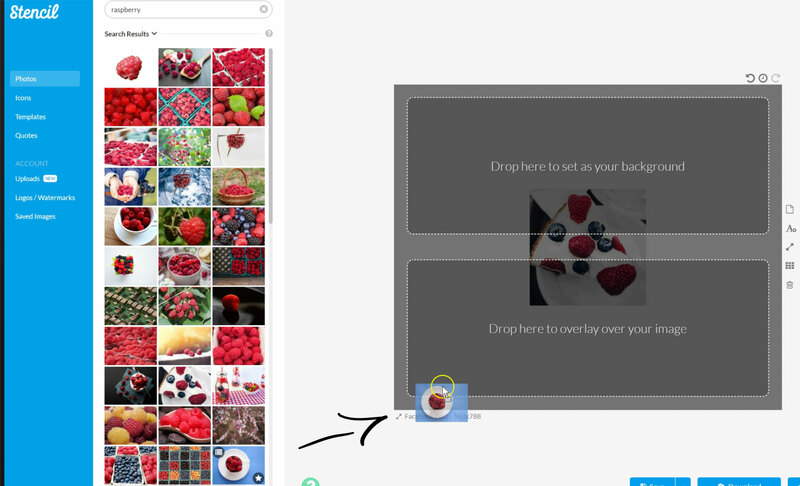 Yes, you can create a collage or have multiple photos in one image by choosing a photo and dragging it to the bottom half of the canvas (as shown below). 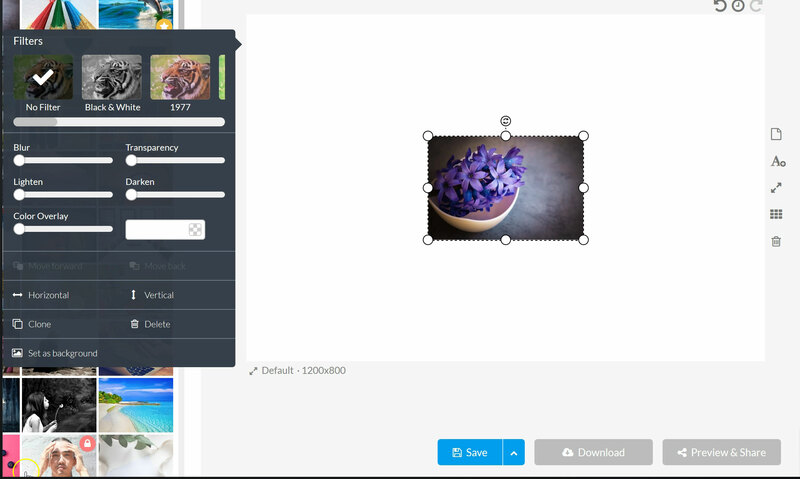 Once you have all the photos you want in the canvas you can move them wherever you'd like and resize them. Another option is to change a background photo to an overlay image. Click on the background photo and click on the Convert to Resizable Image option (as shown below). 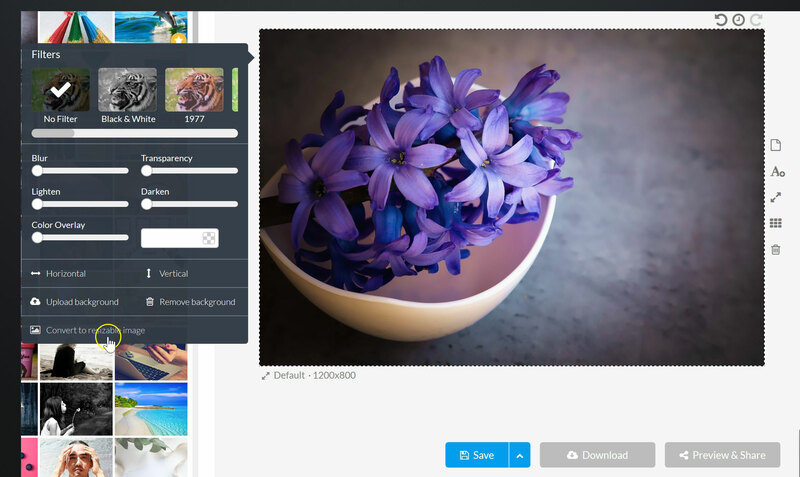 It will immediately convert the image into a resizeable image to create a collage or add additional photos for a new image.